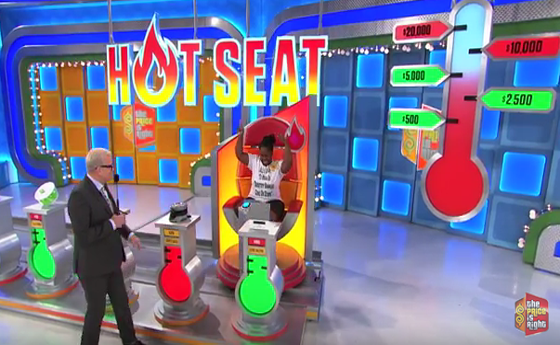 Game Description The contestant sits in a moving chair and is brought to 5 small items. At each item, the contestant must select whether the actual price of the item is higher or lower than the displayed incorrect price. If the contestant is correct on at least one item, they win $500. The contestant may then risk their earnings if they believe they have at least one more correct to win $2500, $5000, $10,000, and up to $20,000 if they have all 5 correct.